1994 PROMO ONLY 2 track cd. Track 1.) Christmas Ride. Track 2.) Rob Halford's Holiday Greeting. This cd only has a back cover insert which is how it was made. 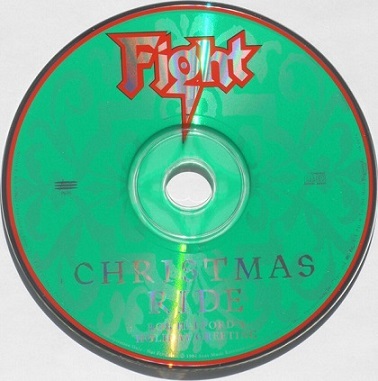 This cd was never for sale and includes a Christmas greeting from Rob Halford that was ment to be used on radio stations for promos. This CD was NEVER available to the public and states that fact on the insert! This cd is very hard to find. Last edited by Everhard on 08 Oct 2013, edited 1 time in total. У меня он есть где то в архиве на болванке, но найти физически очень будет трудно, так как каталог умер три года назад, и где что записано трудно сказать. Но ежли у вас найти не получится я буду в запасе.